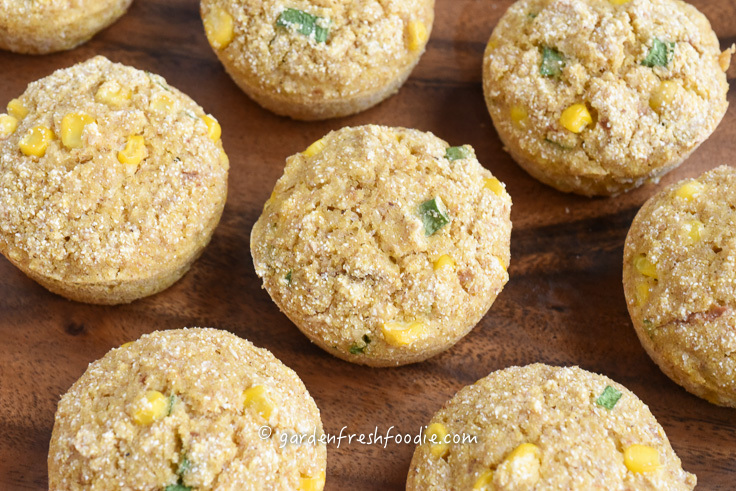 Corn muffins are great for a side to go with soups, stews, and chills. This batter also works well as a topping for a pot pie. I’d cut it in half if using for that purpose (and that gives me an idea for an upcoming recipe for wintertime….). Left overs are also great the next day or cut and cube and toasted to be used for stuffings or bread crumbs. I would cube and toast, then freeze it for a later if using for this purpose. 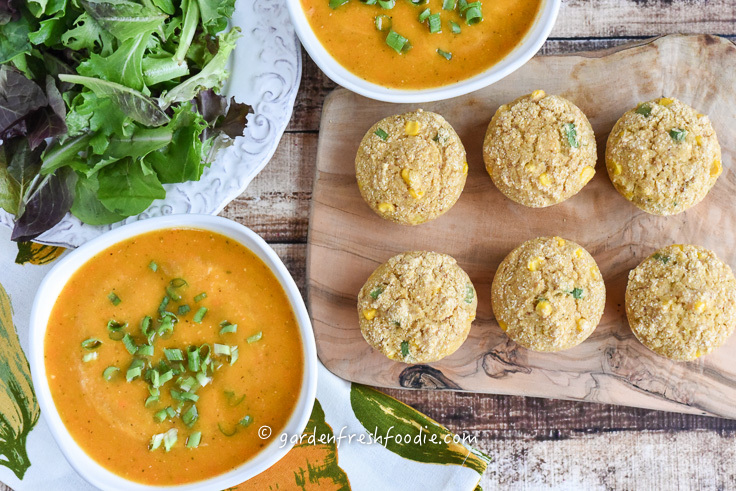 I served these muffins along side my Butternut Squash Soup, as well as a veggie chili this past week. 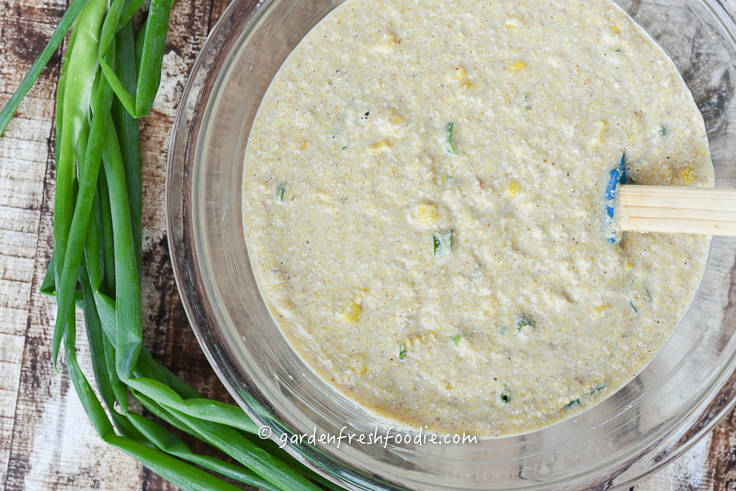 I added scallions from our garden and fresh local corn that I cut from the cobs and freeze. Freezing corn is easy. Just cut the kernels off the cob, and freeze raw in freezer bags. The kernels can then be added to muffins, soups, or stews throughout the winter, and they tastes so much better than frozen corn from the store. Just defrost before adding to these muffins by running cold water over them. If throwing into a soup or stew, no need to defrost. 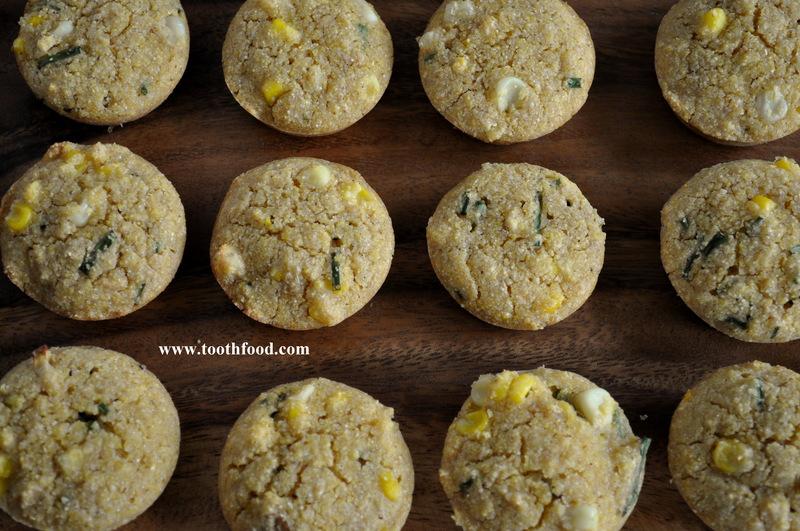 The graininess that you see in the pics is from using a combo of oat and corn flour. Oat flour has a tendency to look more grainy, but adds a nice sweet, delicate flavor to baked goods. I make my own oat flour, by placing oats into my Vitamix and giving them a whirl for about 10-20 seconds. One of the three sisters in Native American farming, corn is a staple on the Thanksgiving table. It’s also, sadly, one of the most highly genetically modified foods in the world (GMO). To help with this, select organic corn if possible. 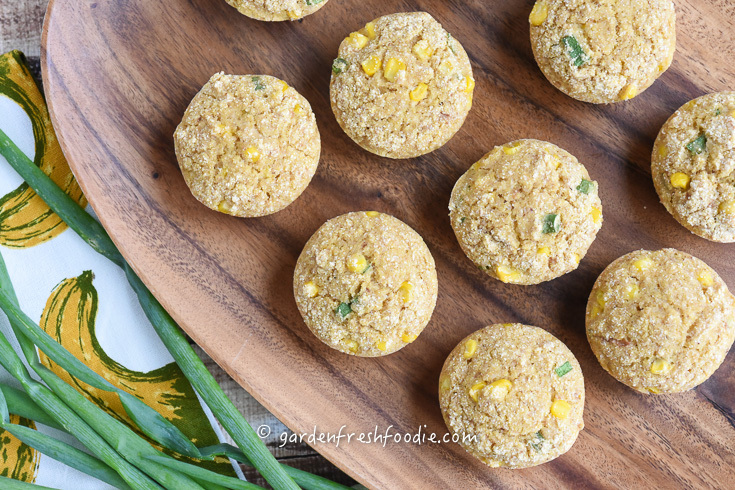 You can most easily find it in the freezer section of your grocery store, or from a local farmer who grows non-GMO corn. *To make your own oat flour: place 1 cup of oats into a Vitamix/blender and pulse until flour forms. It’s best to weigh out flour, as all flours measure differently. Save remaining for another time (can be stored in the fridge for best results). If needed, use certified gluten free oats. 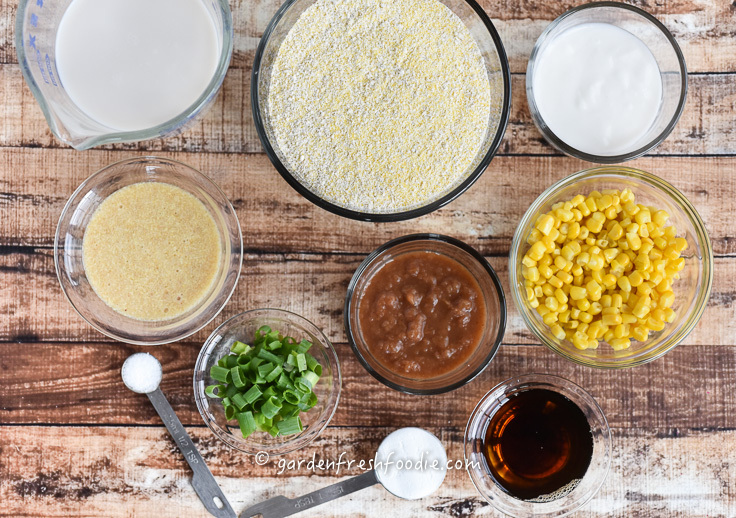 Mix flax meal and water and set aside while you prepare remaining ingredients. 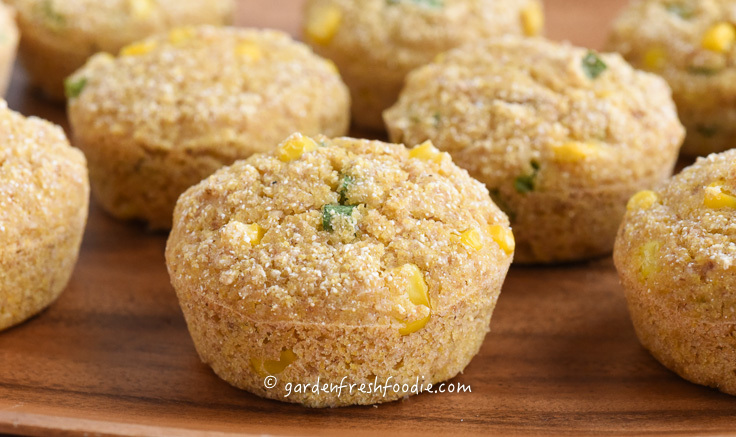 Pour into greased muffin tins, bread pan, or cast iron skillet. If making muffins, I use a 1/4 cup scoop. Bake at 375 degrees. Times will vary based on muffins or bread. For muffins: bake for 8-10 minutes, bread about 30-40 minutes. Test with a knife, when comes out clean, they’re done. Let rest 10 minutes before removing from pan to cool. Enjoy with chili, soup (shown here is Butternut Squash Soup), or as breakfast. Store extras in fridge and rewarm before eating, or freeze for later use. Or crumble and use as bread crumbs! *To make your own oat flour: place 1 cup of oats into a Vitamix/blender and pulse until flour forms. It's best to weigh out flour, as all flours measure differently. Save remaining for another time (can be stored in the fridge for best results). If needed, use certified gluten free oats. 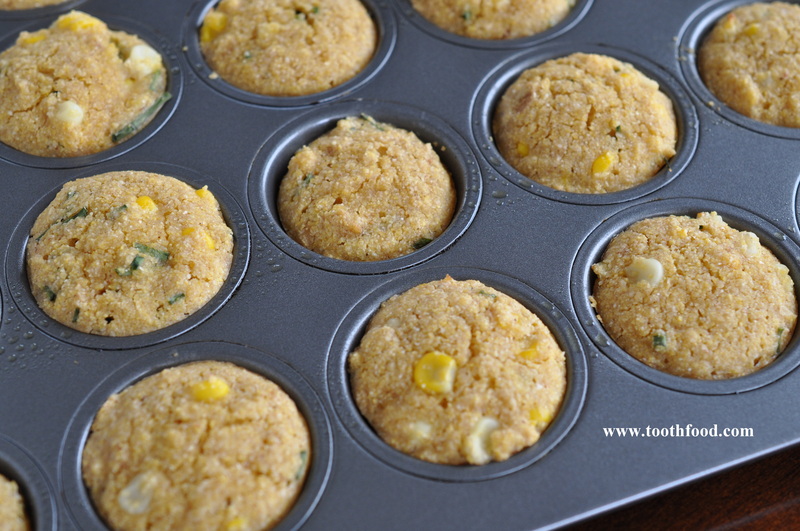 Pour into greased muffin tins, bread pan, or cast iron skillet. If making muffins, I use a ¼ cup scoop. Bake at 375 degrees. Times will vary based on muffins or bread. For muffins: bake for 8-10 minutes, bread about 30-40 minutes. Test with a knife, when comes out clean, they're done. Let rest 10 minutes before removing from pan to cool. Enjoy with chili, soup (shown here is Butternut Squash Soup) or as breakfast. Store extras in fridge and rewarm before eating, or freeze for later use. Or crumble and use as bread crumbs! These look great! I’m interested in making it with salsa instead of yogurt or applesauce. Would I use 1/2 cup? Yes Samantha, keep the liquid ratios the same. Let me know how it tastes! 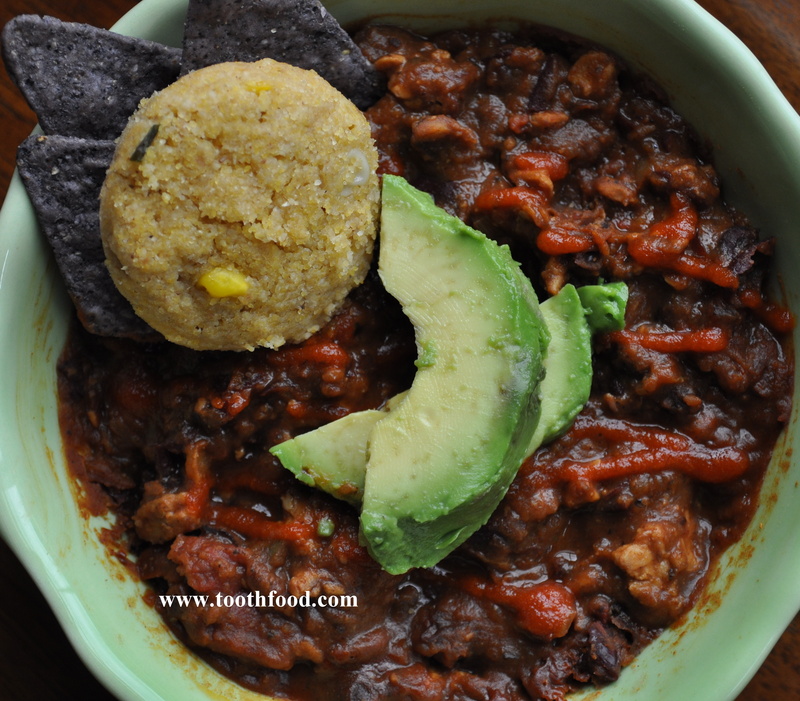 I’ve made other recipes using salsa, but haven’t tried it with this one yet. Can also sauté some kale and add it in too! Yes Sarah-can do to all your questions. 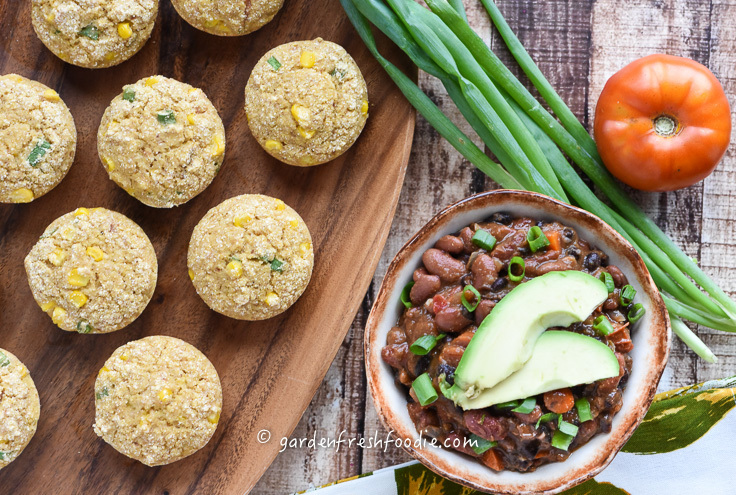 I’d leave the corn kernels in for a little texture but that’s up to you too! Let me know how you like them! AHHH! Oh my great goodness! This worked marvelously! 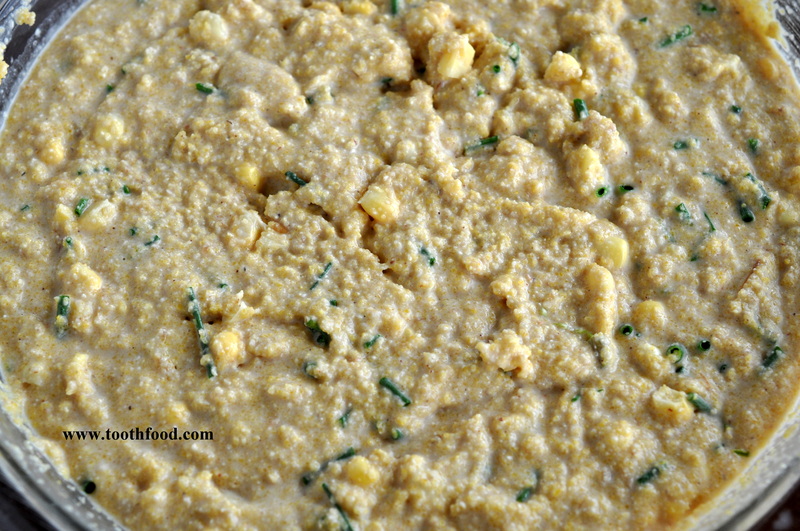 I made it plain with no corn kernels or chives but it is sweet and savory enough on its own! Thank you so much for creating this fantastic recipe. Takes me back to my childhood! Will keep and have in my recipe book forever 🙂 Happy Holidays to you Jessica!